Kyle was nominated upon the merit of his exceptional dedication over the course of his service, and specifically for citations of conspicuous gallantry and self-sacrifice during the battles of Fallujah in 2004 and Ramadi in 2006. At the time of his death, Kyle was a resident of Midlothian. Representative John Wray of District 10, which encompasses Midlothian, nominated Kyle for the award and testified in support of the nomination before the committee. Upon learning of the committee's decision, Kyle's wife Taya stated, "Chris would feel humbled and honored that Representative John Wray started a movement to consider Chris for the Texas Medal of Honor. Chris loved Texas as much as he loved his country. Chris never thought about medals or decorations only about his service to his fellow service members and his country. Even now I can hear him saying, "there are others more deserving than me." But, I have been assured his records have been thoroughly reviewed and reflect the high standards for this award. I am humbly grateful for Chris and equally proud of the honor being bestowed on him for his service." 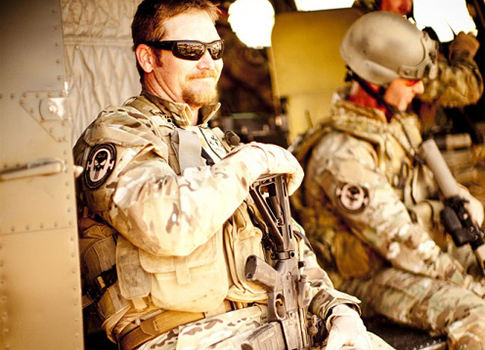 Kyle, whose memoir was the inspiration for 2014 film American Sniper, was one of the most prolific snipers in American history before he was murdered by Eddie Ray Routh in February of 2013. Routh was convicted in February. This entry was posted in National Security and tagged Chris Kyle, Military, Navy, Navy SEALs. Bookmark the permalink.